A festival dedicated to pit bulls? 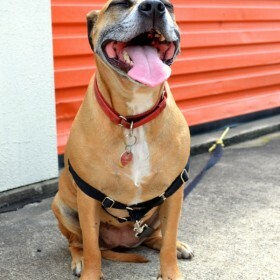 Those blocky headed, big tongued, wiggly butted, wet nosed beasts that get a rap but are really just as sweet and good natured as every other dog on the planet? Um, yes, I’ll be there! 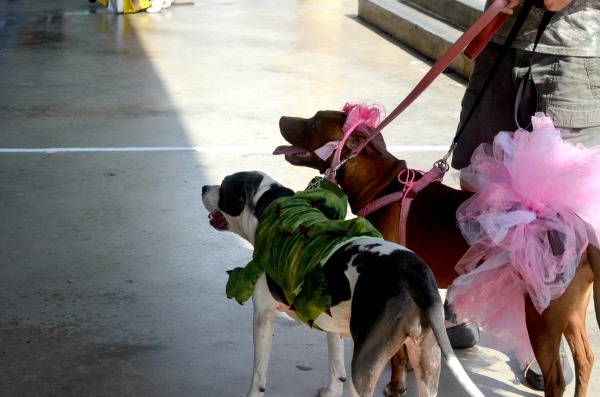 The 8th Annual Pit Bull Awareness Day Festival happened in Austin, Texas on Sunday, October 23rd. It was held by Love-a-Bull, a nonprofit organization dedicated to rescuing pit bulls in need and finding them good homes. There were lots of vendors, a silent auction, food trucks, and of course the most adorable pit bulls known to man ? I got there just as the pittie parade kicked things off with a dog walk around the park. So many pibbles dressed up and wiggling their butts! Then I got to explore all the rescue groups, enjoy an intro by local DJ Deb of 101x who is a dog enthusiast, watch some very well behaved dogs demonstrate their skills on the agility course, look at the local goods that vendors handcrafted, and watch pit bulls roll around in the kiddie pools set up around the park. And everything was to benefit rescue pits! It sort of felt like heaven being surrounded by these fun loving dogs. Here are my favorite photos from the day ?